The primary aim of this study was to measure psychological distress, pain severity, health related quality of life (QOL) and pain coping strategies in patients with irritable bowel syndrome (IBS) and ulcerative colitis (UC). 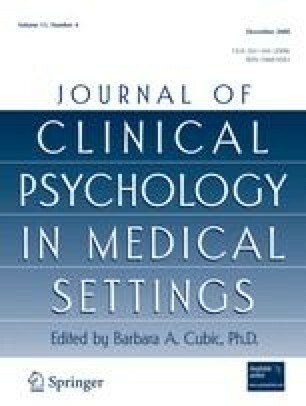 A second aim was to determine the influence of somatic and psychological variables on health related QOL. Eighty-eight IBS and 66 UC patients completed the Irritable Bowel Syndrome Quality of Life Questionnaire (IBSQOL), Pain Severity Scale of West Haven Yale Multidimensional Pain Inventory (WHYMPY), Symptom Checklist-90-R (SCL-90-R) and Coping Strategies Questionnaire (CSQ). T-tests and GLM Analysis of Covariance were used for statistical analysis. IBS patients had significantly higher levels of psychological distress, pain severity and maladaptive pain coping strategies (catastrophization), and lower QOL than UC patients. Variance of QOL in IBS was explained for the most part by catastrophization (15%), then by psychological distress (8%), and for the less part by pain severity (5%). In UC, pain severity explained 21%, psychological distress 8%, and catastrophization 3% of the variance of QOL. These results suggest there are differences between IBS and UC patients in the role of physical and psychological factors in QOL and emphasize the importance of cognitive processes in IBS. Pallis, A. G., Vlachonikolis, I. G., & Mouzas, I. A. (2002). Assessing health-related quality of life in patients with inflammatory bowel disease, in Crete, Greece. BMC Gastroenterology, 2. doi: 10.1186/1471-230X-2-1.